Dieses mal ist es eine Kommunionkarte geworden. 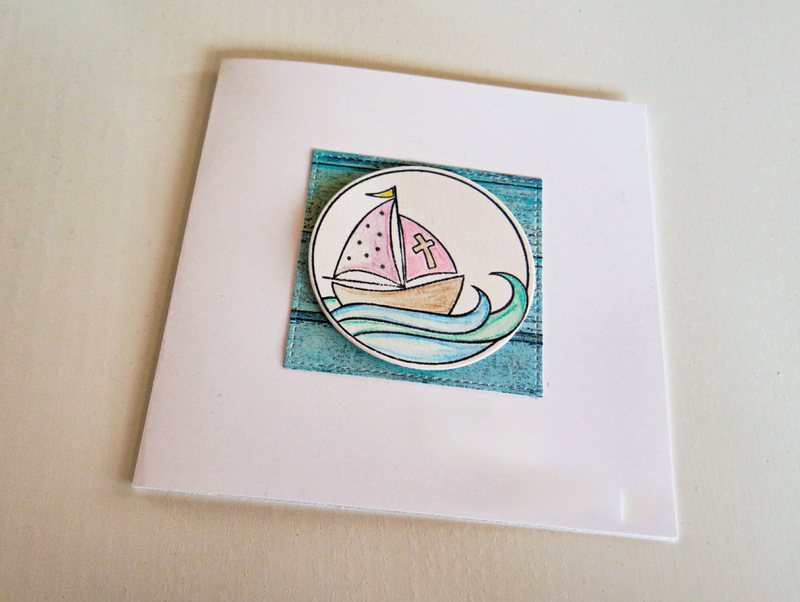 Das Schiff habe ich mit den Aquarellstiften von Stampin up coloriert. Und endlich mache ich mal wieder beim GDP mit. So sweet! What a great image and sweet colors! Thanks for playing along with this week’s CASE the Designer Challenge at the Global Design Project! I love a white, clean card! beautiful! thank-you for CASE-ing me this week with the GDP!